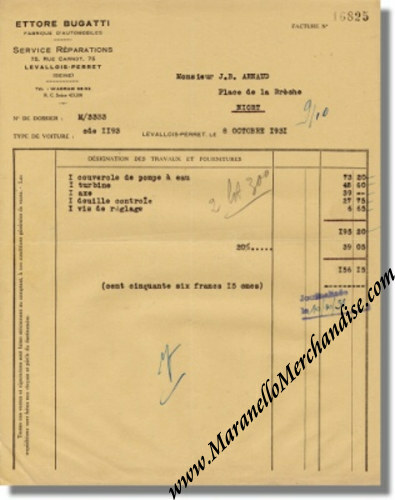 1931 Bugatti Levallois-Perret - Invoice - 2.300 Liter engine. 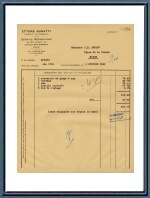 This is an original 1931 Bugatti Invoice coming from the Levallois-Perret (Paris) workshop, dated October 8, 1931. The invoice is for a number of parts (mainly water pump parts) for a 2.300 Liter engine (Type 35B, 35T, 43, 43A or 51).